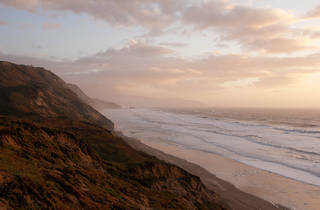 Because Thornton is smaller and farther south, it has the effect of a miniature, less-crowded version of Fort Funston. Technically, the trails leading to the beach have been cordoned off due to erosion. But the adventurous still step over the cord and carefully clamber their way down to the surf along Mar Vista Stables’ equestrian trail. 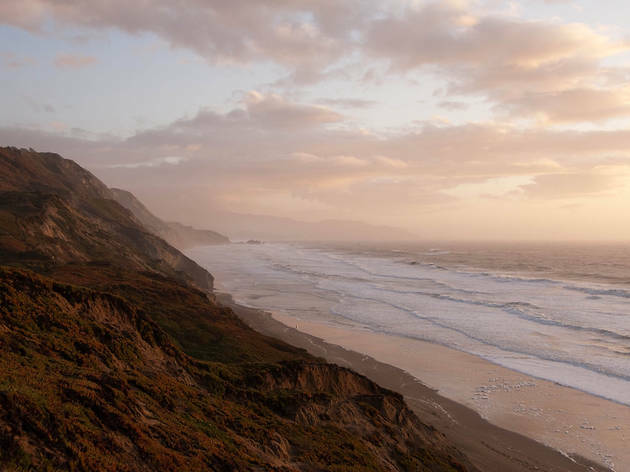 The beach is usually nearly empty, save scattered horseback riders and hang-gliders soaring overhead. And even if you’re too nervous to skirt the rules, Thornton is worth a trip; snag a park bench or picnic table at the overlook for an incredible sunset view.